Welcome to WBYS’s Prenatal Yoga page! Thank you for allowing us to be a part of your journey into motherhood. Our goal is to allow you to stay healthy while you prepare for your newest addition! We understand the physical limitations that pregnancy imposes – that’s why we have worked to create a class that accommodates your specific needs as well as provides an opportunity for you to meet and talk with other expectant mothers. Whether this is your first or your fourth, we welcome you to class! 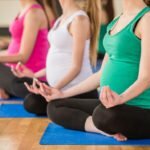 Prenatal Yoga offers pregnant women an opportunity to continue their practice and stay strong in mind and body during the journey of pregnancy. Not only do we work on improving flexibility, endurance, and balance, but we also work to tone and strengthen the muscles that will be used during labor and delivery. We also aim to strengthen the emotional connection between mother and child through mindful breathing exercises and meditation. Studies have shown that a consistent prenatal yoga practice can help ease the symptoms of pregnancy, including stress, anxiety, lower back pain, headaches, shortness of breath, and nausea. Prenatal yoga has also been shown to improve sleep in the months leading up to your baby being born. Keeping up with an exercise routine that tones and strengthens core muscles while pregnant can help in the long-run, especially during labor and delivery. It also offers a great socializing opportunity! Join us in class and become a part of a supportive group of women to ease the stress of becoming a new parent. Just like a normal yoga class, bring your mat and plenty of water to stay hydrated! Be sure to wear comfortable clothing that will allow movement and flexibility and keep you cool. We offer bolsters and blocks, but if you prefer to bring your own props, please feel free. Can Pregnant Women Participate in Other Yoga Classes? While we encourage women to stay active during their pregnancies, we suggest classes that, like our Prenatal Yoga class, offer stretches and poses that are specifically geared to accommodate pregnant women. 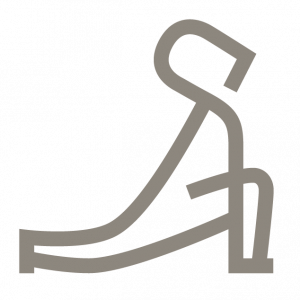 Our instructors are trained to modify postures to accommodate anyone with a specific need or request. In addition, classes such as Gentle Yoga, Yoga and Relaxation, and Whole Body Hatha are also great during pregnancy when done with the proper modification. If you are taking one of our other classes please let the instructor know you are pregnant at the beginning of class. We do recommend that you consult with your doctor before participating in more strenuous classes, such as Ashtanga and Heated Vinyasa, as these classes may be too demanding to both mother and child. Devon Lapartito leads Prenatal Yoga. A mother herself, Devon has a deep understanding of the physical and emotional needs that accompany pregnancy. Feel free to contact Devon with any questions you may have. Once new mothers get the okay from their doctors to resume their normal exercise routine, we welcome you back to the studio! We offer restorative yoga classes, such as Restore and Renew, Yoga and Meditation, and Yoga for Relaxation. Our Whole Body Hatha Yoga is great for easing back onto the mat, and Slow Flow and Vinyasa are always available as you progress in your recovery. **Please let us know before class if you have any special circumstances we should be aware of so we can offer modifications if necessary, or if you do not wish to be physically corrected. Pregnant students are also welcome to join any of our other ongoing Yoga Classes classes as long as they have no restrictions from their physicians. However, please let us know that you are pregnant before taking any classes that involve floor or mat work.